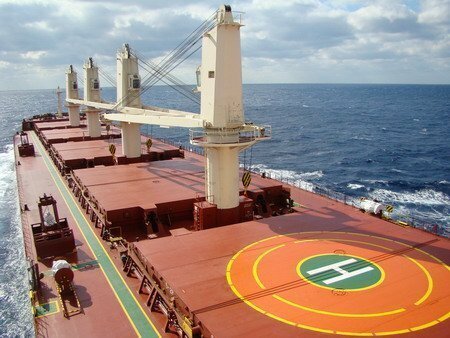 Bulk carrier Nautical Runa , operated by German owner Nautical Bulk Holdings, ran aground at Port of Brake in Germany yesterday and blocked the fairway at the port. According to local reports, the 63,500 dwt vessel, loaded with 52,000 tons of soybean, was docked at the port when the mooring line to the berth broke leading the vessel drifting and stranded on Weser River. The ship didn’t suffer any damage thanks to the smooth river bottom, however shipping traffic at the port was affected while the ship blocked the fairway. The port deployed four tugboats to tow the ship back to berth during high tide later last evening.